Last summer, I had the pleasure of visiting the Pamplin Family Winery in Sherwood. It's an extensive property that includes the winery, but also boasts a theater, art museum, the family chapel, and even a Japanese garden. With an estate like that, you can bet they take care in their landscaping, and it really shows! Flowering trees, stone walkways, blooming flowers and shrubs...we all remember seeing a particular property at one time or another that absolutely took our breath away. What made it so spectacular? The answer is gardening. It looks beautiful, but great results can happen even if you are a novice gardener and don’t think you have a green thumb. 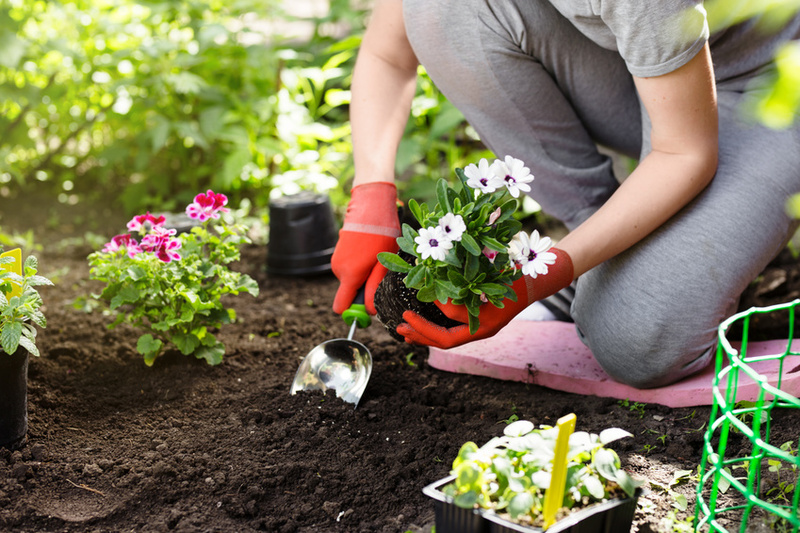 Here are three great reasons to take up gardening as a hobby. These Geraniums Make a Lot of Scents! Fragrant plants help add another element to the garden experience beyond being just visually appealing, often evoking strong memories associated with each smell, and encouraging people to interact with and touch the plants. While most of us think of things like roses, honeysuckle, and jasmine as fragrant, with their heavily scented blooms, there are also many plants out there that have highly fragrant foliage instead of flowers. One such plant, an old-fashioned favorite that’s making a comeback, is the scented geranium. It's Time To Pot 'em Up! It's that time of year to add color to your outdoor environment by potting up your spring containers! We love the sense of satisfaction that comes once you step back and admire the combination of flowers and foliage that you have created. At Al's D.I.Y. Container Days, we make it fun and easy to create your perfect look. When it comes to creating your own Outdoor Living space, knowing how you want to use the space is everything. When Life Gives You Lemons...Start a Garden! With spring right around the corner, now is the perfect opportunity to start growing and cultivating your very own lemon trees. Here are some of the top ways you can flex your green thumb and start growing a lemon tree in your backyard garden. What is Ladies Night Out? Want a great way to usher in spring with fresh fashion in a venue filled with blooming flowers? Come to Ladies Night Out, Al’s celebration of spring! Believe it or not, you can have your own taste of Florida right here in the PNW! Citrus does grow here, with a little extra help from you. Here’s some handy tips to help you successfully grow your citrus plants. Amidst the ever-expanding reaches of suburbia and industrialization, more people are looking to benefit from the healthy effects provided by house plants. Even those who lack a green thumb are looking for more ways to implement easy-to-care-for plants in their homes, whether they serve as central pieces to a room or simply provide a table topper in the corner.